Experience Ecuador in a Special Way ! Panda Bee (Caupolicana sp.) an important pollinator in the Andean Dry Forest. Enjoy a unique agro-ecotourism experience at Zero Latitude in one of the last remnants of Andean Dry Forest. We aim to promote agrobiodiversity. 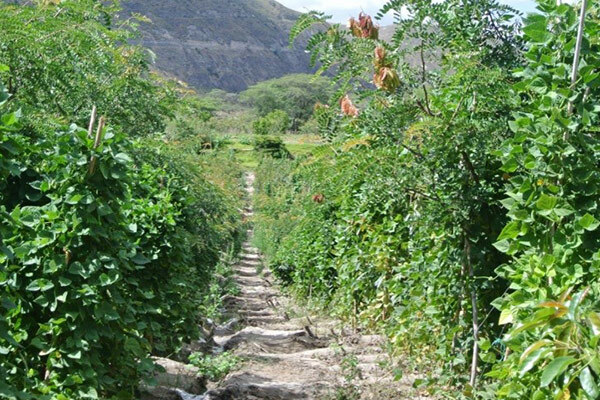 We cultivate more than 20 avocado varieties, 4 species of passifloras, 5 of cucurbitas, in total more than 60 fruit species most of them native including endemic and endagered taxa. We offer exclusive tours guided by the owners through the farm and the forest. Hikes are between 30 minutes and 2 hours. All tours can include a gastronomic experience with farm products. 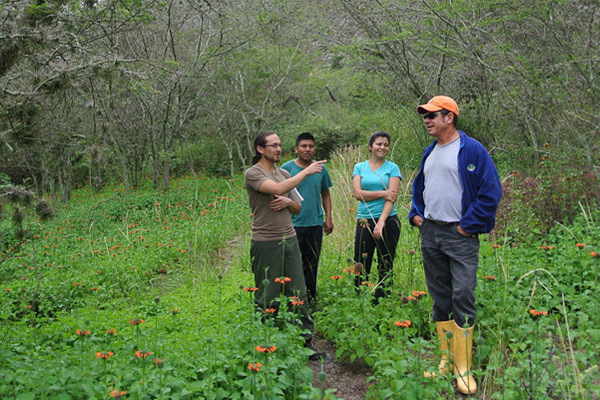 We offer thematic visits or day courses to groups aiming to learn about topics such as medicinal and edible plants, diversity and ecology of Andean Dry Forest, agroecology and agroforestry. Please contact us if you have any questions about our services at Hacienda Verde. Copyright © 2019 Hacienda Verde. All Rights Reserved.